IHOP spokeswoman Stephanie Peterson said the chain continually evaluates ad placements to make sure they align with the company’s values of “welcoming all folks from all backgrounds and beliefs.” She said the company will continue to advertise on other Fox News programs. Earlier this year, Laura Ingraham lost some advertisers after she made negative comments about Florida school shooting survivor David Hogg. And last year, Bill O’Reilly saw advertisers abandon him following reports of sexual-misconduct complaints against him; he left the network shortly afterward. Fox News Channel said in a statement that “left wing advocacy groups” were using social media to “stifle free speech.” The network said it “continues to stand by and work with our advertisers through these unfortunate and unnecessary distractions.” Later on Tuesday, Fox issued another statement saying it won’t allow Carlson to be “censored by agenda-driven intimidation efforts.” Fox added that all advertisers have switched their ads to other shows, so no revenue was lost. 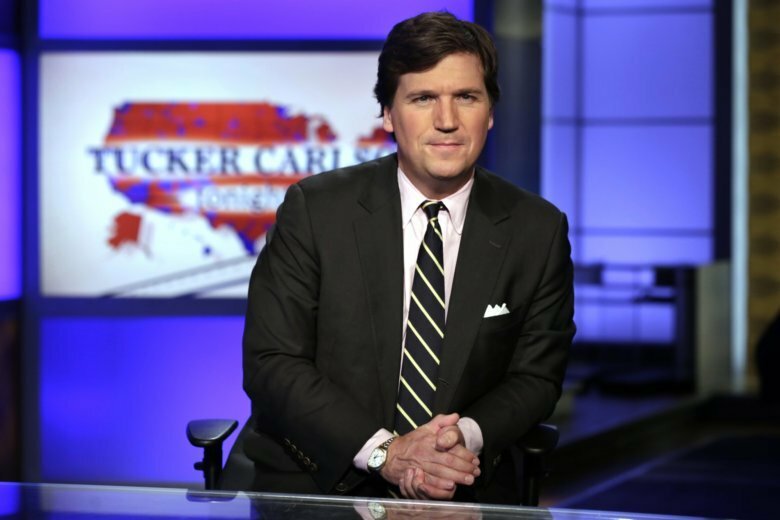 Most of Carlson’s biggest advertisers are sticking with the show or staying mum. MyPillow, which makes pillows and mattress toppers, has no plans to leave. It’s the show’s biggest advertiser in terms of dollars spent, according to Kantar Media. “I make all of my advertising decisions based on what is best for MyPillow, my customers and my employees,” MyPillow inventor and CEO Mike Lindell said in a statement Tuesday. The number five top advertiser, AstraZeneca, said it would “continue to assess our advertising purchases regarding the heightened attention surrounding this matter,” but did not announce any action.